common and unflattering portrayal of minorities in entertainment. 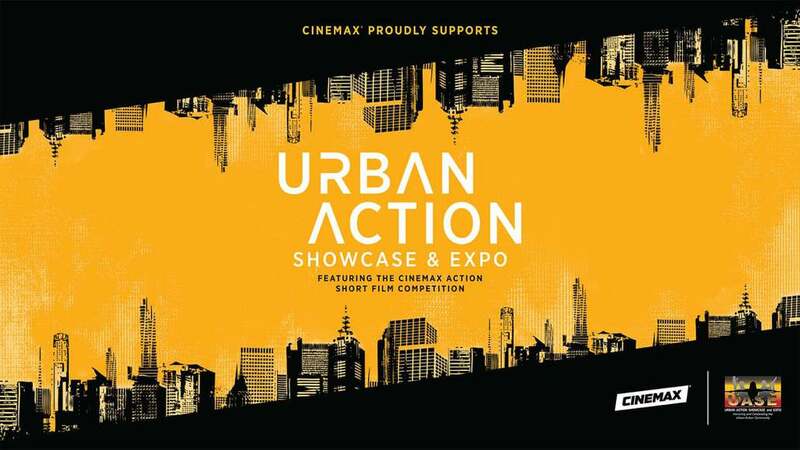 We do this in several ways from encouraging the craft through our UAS International Action Film Festival platform competitions which boasts the Cinemax Action Short Film Competition , by exposing previous works that represent positively and teaching all necessary skills of the trade. The Urban Action Showcase and Expo (UASE) is the premier entertainment platform celebrating diversity and honoring the past, present and future multicultural achievements within the blockbuster Action genre including Adventure, Fantasy, Grindhouse, Action Horror, Kung Fu, Martial Arts, Sci-Fi, Superhero and Supernatural content. The UASE is supported by major networks such as HBO/Cinemax, El Rey Network, Celestial Pictures, Warner Brothers and synonymous brands of the blockbuster Action genre. The purpose of the UASE is to ultimately see an increase in ethnic heroic principal characters in film and television, increase the development of content and expand distribution platforms reflecting multicultural images and interests as it pertains to the multifaceted Action genre. The UASE endeavors to recognize and facilitate the participation of multicultural filmmakers, actors and industry professionals by establishing promotional and distribution opportunities across various media outlets, and strengthening professional networks through media, events, panels and workshops. front of the leading Stunt Coordinators and Action Icons in Action Film and Television. stance and footwork related to the use of firearms in film.